Hello Dealsnloot Readers,Flipkart is back with a new Offer - This Time its Better than all before, As you all know Flipkart Big App shopping Days are coming back and in order to gain more attention flipkart is offering "Invite & Earn" offer. this is another great loot offer from flipkart where you can easily earn from referring your friends flipkart app . So Hurry up and get free gift cards from flipkart. in this referral program both referral and referrer will earn rs 25 giftcard from flipkart for sharing flipkart with friends. 2. Once you download, sign up new account and verify your number. * You can redeem your voucher on minimum purchase of Rs.100. 4. Now start referring your friends & get Rs.25 off coupon which is valid on minimum purchase of Rs.100. * You can refer unlimited friends but maximum you can earn 3 gift vouchers of Rs.25 each. How does 'Invite & Earn' work ? 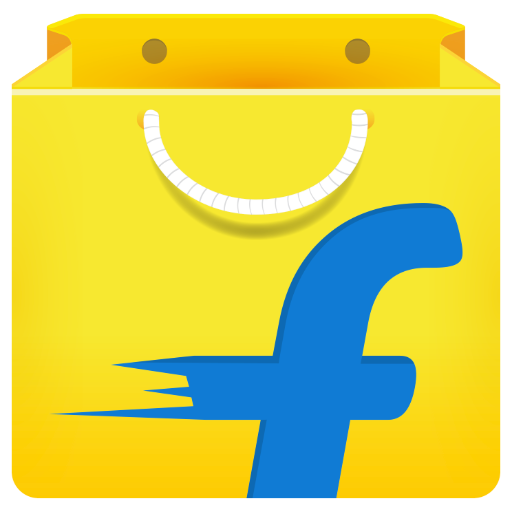 Invite your friends to install the Flipkart App. Once your friend installs the app and logs-in to the App, both of you get the Rs. 25 voucher. Please note that your friend should use your invite code after installing the Flipkart App. If you have not used the Flipkart App before, you can earn Rs 25 by using a referral code shared by a friend. Do I earn rewards just for inviting ? Both you and your friend would earn rewards when your friend installs and logs into the Flipkart App using their Mobile number. How many rewards can I earn ? You can earn upto 3 rewards. Each one of your friends would earn a reward themselves. 4.Firstly use Bluestacks as it is. After getting Your voucher – Clear Flipkart app’s data. 5.You just have to change bluestack’s Guid, Android Id and google advertising Id Of Bluestacks to loot flipkart vouchers. 6.Change the following things and move to bluestacks again (No need to Restart Bluestacks). 7.Open Bluestack’s browser and paste your Flipkart referral link there and Click on “Goto Flipkart app” Button at the bottom. 8.Now you will be redirected to flipkart app > Sign up there normally. 9.Once verified, you will get Rs.25 credited in both of your account. Follow same steps again and again ! Flipkart Internet Private Limited (hereinafter referred to as 'Flipkart', 'We', 'Our', 'Us') is offering discount vouchers under its Invite & Earn Program ('Offer') from 1st July, 2016 to 3rd July, 2016 wherein the user has an opportunity to participate subject to the terms of this Policy mentioned below ('Policy'). This document is an electronic record in terms of Information Technology Act, 2000, and the Rules there under as applicable and the amended provisions pertaining to electronic records in various statutes as amended by the Information Technology Act, 2000. This electronic record does not require any physical or digital signatures. Wherever the context so requires 'You/Your/User' shall mean any user on the Flipkart Mobile App. 'Flipkart'/'We'/'Our' shall mean Flipkart Internet Private Limited. This is a limited period offer and is subject to change, at the sole discretion of Flipkart. You must have a valid account on the Flipkart App. Your account must be mobile number verified with an Indian phone number on Flipkart App. If Your account is not verified via an Indian mobile number then you can do the same within 7 days of sending an invite else you won't be eligible for the Offer. To participate in the Offer, You must invite people who are not existing users of the Flipkart App ('Referred Customer') to download the Flipkart App. The device on which the Referred Customer downloads the Flipkart App must be a new device (must not have installed the Flipkart App earlier). The Referred Customer must be a new user and the mobile number should be an Indian mobile number which has not been registered before with any Flipkart account. If the Referred Customer fulfills all the above conditions, both You and the Referred Customer will receive a discount voucher of Rs. 25 off a minimum purchase of Rs. 100 ('Reward'). Details of Your Reward would be communicated to You through an In-app Notification and email (if available) on the Flipkart App. Rewards cannot be redeemed against cash or credit and can only be used to purchase products listed on Flipkart. Rewards cannot be used to purchase EGV 'electronic gift cards' and are non-transferable. Additional terms and conditions of the reward are listed in the Flipkart App and can be accessed in the Reward's T&Cs. We reserve the right, at our sole discretion, to change, modify, add or remove portions of this Policy, including without limitation: changing the amount of Rewards, modifying how You may earn and spend Rewards earned, modifying the duration and expiration of Rewards, minimum purchase amounts for use of Rewards, maximum amount of Rewards that You may earn, and discontinuing the Offer entirely, at any time without any prior written notice to You. Flipkart shall not be responsible for any products purchased using the Rewards. This will strictly be the respective Seller's responsibility. participating in the Offer in contravention with any applicable law or regulations. Purchasing or receiving Flipkart Electronic Gift Cards (EGVs) bought using these Rewards. Flipkart reserves the right, in its sole discretion, to disqualify any participant that tampers or attempts to tamper with the Offer or violates the Policy. Flipkart shall not be responsible for any loss, injury or any other liability arising due to participation by any person in the Offer. You hereby agree to indemnify and keep Flipkart harmless against all damages, liabilities, costs, expenses, claims, suits and proceedings (including reasonable attorney's fee) that may be suffered by Flipkart as a consequence of (i) violation of terms of this Policy by You; (ii) violation of applicable laws; (iii) any action or inaction resulting in willful misconduct or negligence on Your part. This Policy shall be governed in accordance with the applicable laws in India. Courts at Bangalore shall have the exclusive jurisdiction to settle any dispute that may arise under this Policy. In case of issues, you may reach out to our customer care center for prompt resolution but it may take upto 14 days to resolve your query. any trick for mobile number verification?